There are millions of users online and quite frankly, most will not be leads. By determining who your target audience online is, what information they value, and then finding where they spend their time online, you’ll be able to focus your marketing initiatives most effectively. If you are not communicating to your target audience in the manner they are looking to receive their communication, then you are effectively not communicating at all. Think of it like this, if a tree falls in the forest, does it make a sound? Sure it does, but if no one is around to hear it, it is effectively silent. Unless you are communicating with your audience, the same could be true for you. You are communicating but no one hears a sound. Make sure this doesn’t happen to you. Being online is literally like participating in a 24 hours a day, 7 days a week networking event. Your profile, the content you share and your contributions are working for you even when you’re offline. The challenge is that without a focused effort, your networking efforts can quickly become fragmented, overwhelming and produce minimal results, even through it feels like you’re trying to network with everyone, all the time. So, who has the time for that? Create a focused effort. Know your audience, know where they hang out and know what they are interested in. 1. What does my target audience look like – define specifically in human terms. Who these people (age, gender, demographic, socioeconomic status, etc.)? Be as detailed as possible. 2. 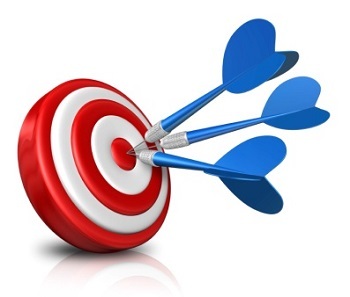 Do you have more than one target audience online? If so, for each, what are their biggest concerns, needs, and interests? 3. Who are the decision makers within the organization? 4.What are they “buying” from you? 5. What motivates them to hire you? What are their pain points? Increased efficiency? Cost-savings? Outsourcing opportunities? 6. What is the value that you offer which your competition does not? 7. Who are your best prospects and where can these audiences be found on the internet? Next, brainstorm some strategies for finding your targeting audience online. There are millions of users already online and you need sift through "the noise" to find your best audience. Trying to do this can feel a little like searching for a needle in a haystack. So how do you narrow the field to find your target audience? 9. Check out your competitors. Who are they networking with? What groups do they belong to? Read their profile, are they using keywords that make them easier to find? Are they listing industry specific experience in their profile that your target audience will be searching for? 10. Ask people you do business with where they interact online? Which groups, which functions and what information are they generally seeking? 11. Create your own company page on social media, and keep track of those who follow and/or view your page. 12. Search the company pages of those you currently do business with, take a look at who is active on their page, what are they contributing? 13. Search out groups related to your industry (competitors) and the industry of your target audience. Be where your prospects can see you. Ask to join these groups, and ease yourself into the conversation slowly. Start first by watching the group to see how they interact, what type of information do they share, is there specific content that they value over others? Are they receptive to asking questions? Once you’ve found your audience, it is time to refine your communications with them. The key here is to focus on the value they are seeking. Think about this for a second... when someone offers you value that you are seeking, do you pay attention to it or dismiss it and walk away. Clearly, you pay attention to it. Communicating the value your audience wants is the "secret sauce." 14. Value - Take the time to figure out what your target market wants to hear, the information they’re looking to gather, but also the way they want to hear it. Do they tend to take conversations out of the group and appear to start having a discussion on email instead? How forthcoming are they to sharing their business problems in a public environment? 15. Aviod providing "anti-value" - Most of all, start communicating with your target audience, but be cautious not to self-promote in an obvious way. Ask questions and provide thoughtful input on questions being asked. 16. Connect with decision makers - When you are intereacting online, are you engaging with the decision makers or insiders? If the group is largely composed of insiders, balance your time, and start planning a strategy to get to the decision maker. This is a powerful and robust topic to dig into. These are our 17 tips to get this conversation started. We would be very interested to hear yours. Want to find your target audience & generate more effectiveness on LinkedIn? Click here to for a free 30+ page guide.